ProShip® shipping software is a multi-carrier shipping engine that provides seamless integration between shipping processes, carrier vendors and your company’s ERP system. This fully customizable and modular parcel shipping software system allows access to functions and data (housed on a central server or via Black Box app) to be accessed from multiple computer workstations. Its flexible and scalable design allows access from a single workstation or an entire enterprise. Intranet web services can be linked to the shipping system for access to real-time information — from package status and tracking numbers to delivery confirmation and reporting. No special programming is needed. ProShip® is unique in the marketplace based on technology, communication, and business model. Up-to-date web based product documentation (Procyclopedia) available to customers and their IT staff. No outdated manuals. Web based updates for all software and rates, no waiting for CD’s, floppy disks. Server/Client architecture or Black Box, both with a high speed rating and processing engine that is unmatched in the industry. Leading edge technology built around .Net using XML as the primary method for data exchange. Ability to add additional modules, including unlimited users and additional distribution centers/shipping locations in minutes. A built-in device driver that can be connected to virtually any laser or sonic dimensioning device in order to automatically calculate box dimensions. 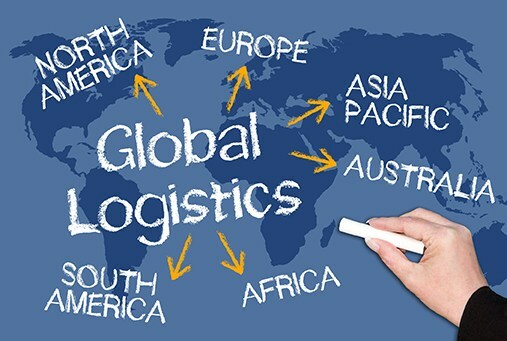 International shipping programs can easily be handled and the system generates all required documentation, including Certificate of Origin and Shipper Export Declaration. Reports are fully customizable and can be generated from any workstation linked with the system. The system stores package information for future needs and as a basis for report queries. If you’re looking for a shipping system that is scalable, flexible, customizable and can be integrated with your other systems, this is the solution for you. ProShip Server – the engine that provide seamless integration of shipping processes and information between your company’s ERP system and your carrier vendors. ProShip Velocity – a multi-carrier parcel shipping system developed by seasoned engineers that understand real needs of a logistics operation. It seamlessly integrates shipping processes and information between your ERP system and carrier vendors and provides easy access to the latest carrier services. ProShip SDK– If you prefer a Black Box application from your EMS or WM system or need to communicate for e-commerce or to a website, the Software Development Kit (SDK) has the power you need. ProShip Office – the ultimate desktop shipping solution for rating, shipping, tracking, and reporting, all through one integrated source. ProShip Office is scalable and can be integrated to allow multi-location users to ship via a company’s intranet site. ProShip Labeler – a powerful Form Generator module that allows users to define forms and labels that will print whenever a shipment is processed, in addition to the standard forms and labels. It also generates additional output such as files, faxes, e-mails, conveyor belt driving signals, and more.